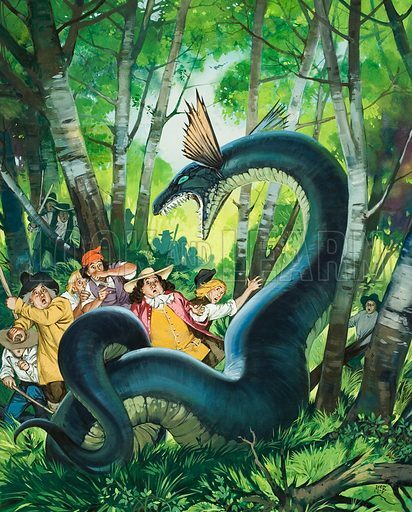 The Dragon of Birchwood, the serpent-like creature reportedly seen in 1668 near the village of Henham, Essex. Original artwork for illustration on p6 of Look and Learn issue no 429 (4 April 1970). Lent for scanning by The Gallery of Illustration.